BT and Virgin Media have each submitted complaints to the European Commission (EC) about plans for a state-funded broadband network in Birmingham. The City Council was awarded the money for the project after applying to the Urban Broadband Fund set up by Chancellor George Osborne in 2011. The £100m pot was created to be split between the four capital cities in the UK, with up to eight other cities eligible to apply for cash to improve their broadband infrastructure and turn them into “super-connected cities”. Birmingham was one of the first to apply and was consequently given £10m to boost connectivity, announcing the areas of Digbeth, Eastside and the Jewellery Quarter would be the first to benefit. The plans got the go-ahead by the EC, but now both BT and Virgin Media are claiming it will damage competition in the area and put off further investment in a fibre network by private sector firms. A BT spokesman said: “We can confirm we have made an application to annul the Commission’s decision. This is an unusual step for us to take, but we believe the decision was substantially flawed. It would have discouraged commercial investment in high-speed networks at precisely the time when such investment is required. It would also have set a dangerous precedent. Councillor James McKay, cabinet member for a “green, safe and smart city” at Birmingham City Council, said the organisation was “extremely disappointed” with the response of the telecoms firms. “The city has worked in a very positive and collaborative way with them over the last few years to help inform and develop our business case and we are surprised that they have now chosen to appeal at such a late stage,” he said. 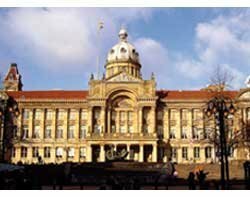 A spokesman from the Council also told Computer Weekly that what was currently on offer from BT and Virgin Media was "at a pretty high price for small and medium enterprises" and Birmingham had to "step in" to the calls the business community was making for more affordable broadband connections. We contacted the EC for comment but it had not responded at the time of publication.